The writing has been on the wall for quite some time. Dubai Parks and Resorts is in some financial strain. Despite touting attendance gains for 2018 in several press announcements, as we have stated here at TPU that those gains are small in comparison to the numbers needed to break even on an operation that contains three major theme parks, along with resorts and a dining and shopping district. 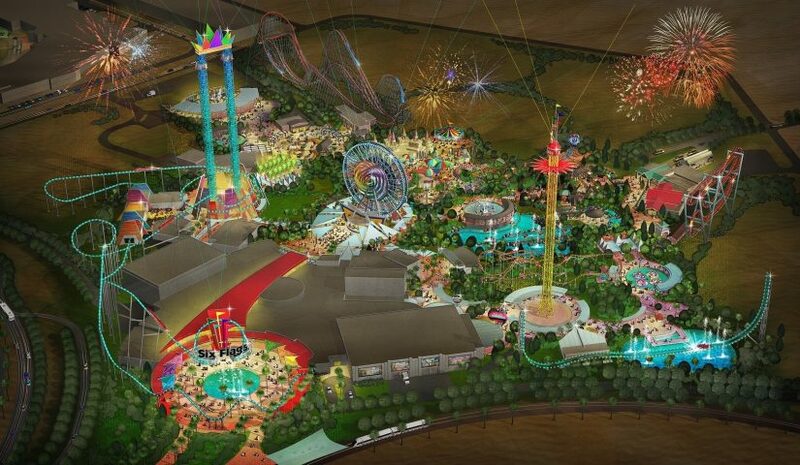 Now, if rumors are correct, the entire Six Flags Dubai park has been totally scrapped and it even gets worse from there. For those of you who haven’t followed along, let me get you up to speed. Dubai Parks and Resorts was announced in 2012 and construction began in 2014. While the three parks that are currently open didn’t all open on the same day, they all were very close to each other with no time to prove if there was a solid business model to justify having them all open so quickly. In October 2016, Dubai Parks and Resorts opened LEGOLAND Dubai along with Riverland Dubai, a dining/shopping/entertainment district. A month later, Bollywood Park opened in November and just after that, motiongate Dubai debuted the next month. In total, it’s the biggest undertaking in theme park history. Opening three theme parks within three months in the same resort is completely unheard of. To make matters even more interesting, Six Flags Dubai started construction in 2016 as well with ground clearing and some supports going up in 2017. It quietly came to a halt in 2018. While the Six Flags park continues to get mentioned, there seems to be no visual indicators on the construction site of progress being made. Now rumors within the industry have said that the Six Flags Dubai project has been cancelled and an announcement is imminent. This comes as no surprise as in 2018, Dubai Parks and Resorts (DXB Entertainments) admitted to losing a total of $302 million. To put that into perspective, that’s just under $1 million per day. While DXB Entertainments touted an increase of 22 percent year-over-year in 2018, the fact of the matter is, they most likely are not breaking even for operating expenses despite that increase. If rumors are true, in addition to Six Flags Dubai being cancelled, Bollywood Park would operate on a per attraction basis. (Think ticket books or a booth in front of each attraction). Plus, reportedly the workforce will be scaled back to a third-party vendor to run seasonal positions as opposed to full time workers on some positions, drastically slashing operating costs as well as possibly hurting the overall guest experience. We will let you know when/if we get the formal announcement from DBX. Until then, what do you think of this? 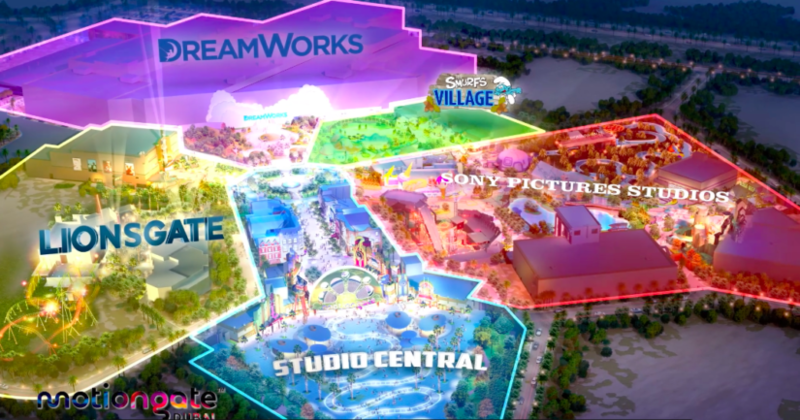 What will happen to neighboring parks like Warner Brothers Dubai, Ferrari World and IMG Worlds of Adventure? What does it mean for tourism within the UAE? Will this have a ripple effect on other theme parks around the world? We’d love to know your thoughts and share ours as we learn more on this potentially breaking development. This entry was posted in Theme Parks 101 and tagged DBX, Dubai Parks and Resorts, motiongate dubai, six flags dubai. Bookmark the permalink. Trackbacks are closed, but you can post a comment.